If you need to meet a high production rate, the Q© 1002 Triple Chip handles cutting applications like nickel alloys and titanium with ease. 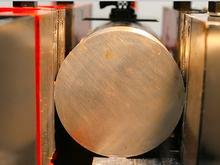 It represents the latest in blade technology and is used in the aerospace industry and steel service centers. 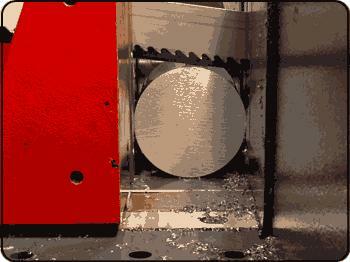 We will build your Q1002 Carbide, Triple Chip Band Saw Blade to your requirements. Select Width, Thickness and Tooth Pitch by Clicking a Circle. 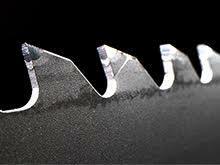 We craft these band saw blades with aggressive new tooth geometry, making it perfect for cutting difficult-to-machine metals and alloys. The tooth design, coupled with a triple-chip grind and positive rake angle creates smooth, fine-finish cuts. 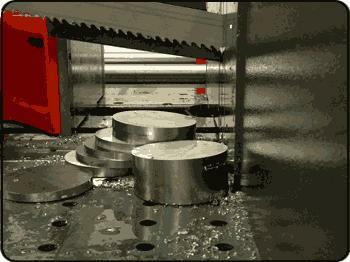 Triple Chip performs where standard Bi-Metal Blades fail. 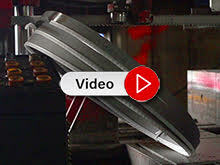 In aerospace, steel service centers, or any production cutting environment, Triple Chip Bandsaw Blades make short work of high nickel alloys, titanium, Inconel, composites, and other exotic materials. It is the tough job workhorse! 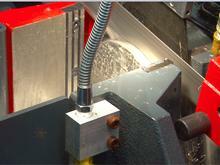 The combination of carbide tipped, teeth and steel backing for fatigue resistance. Commonly used in the aerospace industry, steel service centers, or any high-production cutting environment, this saw has excellent fatigue, shock, and wear resistance.